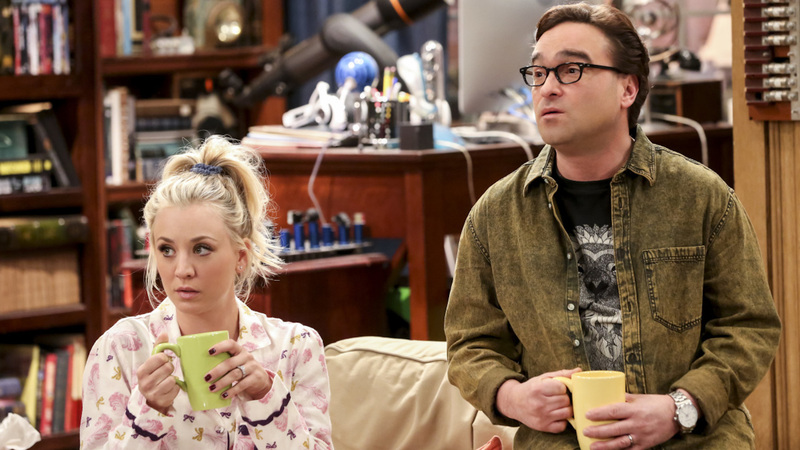 Now that the cat is out of the bag that The Big Bang Theory will wrap up in May 2019 with season 12, one of the show's stars, Kaley Cuoco, is sharing her feelings on the matter – and it will tug at your heartstrings. Cuoco took to Instagram yesterday, just hours after the official announcement from CBS was released, and shared a picture of the cast along with a message about her journey with the show. "This ride has been a dream come true and as life changing as it gets," the award-winning actor wrote. "No matter when it was going to end, my heart would have always been broken in two. Drowning in tears, we promise to bring you the best season yet. To the fans, our crew, families, Chuck Lorre, Warner Brothers, CBS, and everyone who has supported us for so many years, thank you. We are going out with a bang." Melissa Rauch, who plays Bernadette on the show, also posted about the first night of taping season 12 of the show but didn't mention the news that the TBBT ride will be coming to an end sooner than she thought. "It feels hard (nearly impossible, actually) to really accept that this is a picture of the first of the final 24 episodes we will shoot for The Big Bang Theory. I feel fortunate that we have another 23 episodes to shoot this season because I am hopeful that with each and every one, my level of REALLY accepting this fact will sink in. Something else I feel grateful for… [is] our devoted viewers who are the ACTUAL reason we have been graced with the opportunity to explore these characters for 12 years of our lives." “We are forever grateful to our fans for their support of The Big Bang Theory during the past twelve seasons," the statement read. "We, along with the cast, writers and crew, are extremely appreciative of the show’s success and aim to deliver a final season, and series finale, that will bring The Big Bang Theory to an epic creative close." Fans of the show can take some solace in the fact that the prequel spinoff of the show, Young Sheldon, was renewed for a second season, which will also premiere in late September on CBS. Season 12 of The Big Bang Theory premieres on CBS on Monday, Sept. 24 at 8/7c.